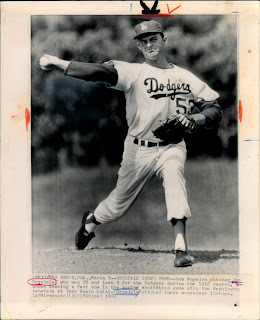 Even during Spring Training Don Drysdale sports his game face. You can see the immense intensity and pure hatred he had of the opposing batter when he pitches. Below is a March 9, 1963 Associated Press wire photo.